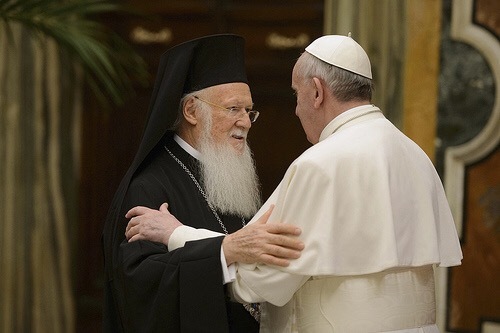 Catholic World News – September 04, 2015Orthodox Patriarch Bartholomew I of Constantinople underlined the importance of ecumenical ties with Rome, and criticized the resistance of the Russian Orthodox Church, in an August 29 address. The Ecumenical Patriarch—recognized as the “first among equals” of the world’s Orthodox leaders—stressed the primary importance of ecumenical affairs, and reiterated that his role involves “protecting the unity of the whole Orthodox Church.” He said that opposition to ecumenical unity reflects a “diabolical” impulse. The Ecumenical Patriarch—who has frequently sparred in recent years with the leaders of the Patriarchate of Moscow—clearly appeared to be criticizing the Russian Orthodox leadership when he spoke critically about Orthodox bodies that “maintain intimate connections with the government of their land and enjoy abundant financial support,” and advance the political interests of their nations. Very interesting. I do not understand the politics of the “Orthodox” Churches. I do understand however that Putin is extremely religious, Russian Orthodox of course. 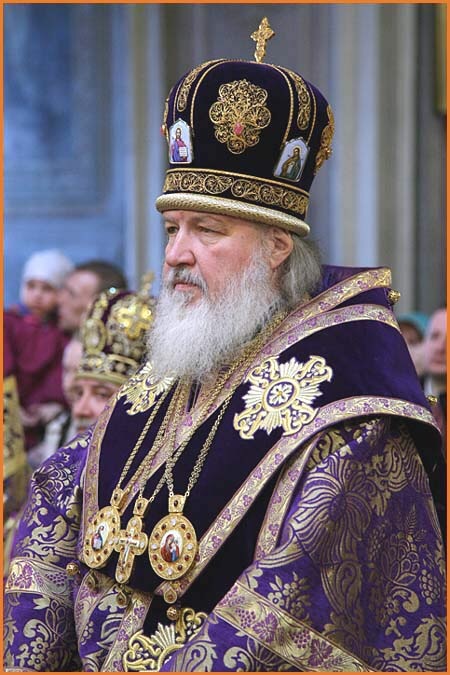 Patriarch Bartholomew ought to cease pandering to the judeo-masonic Vaticanites and also cease speaking as if HE is the head of the Orthodox Church when Constantinople is still under Turkic control and has absolutely no spiritual jurisdiction, in fact now that Russia is free, and Moscow being the Third Rome, it is the Russian Orthodox that now carries the guardianship of the Church. And his concerns that ‘the Russian Church maintains intimate connections with the government and receives financial support’?! Ha Ha…..Somebody please teach him the rudiments of what Symphony means!